"If the creator... felt it necessary to design something to solve multiple problems and if the creator wanted to show us... the magic and miracle of pulling 'rabbits from a hat,' then an outstanding job was done with the design of fulvic acid! --Dr. William R. Jackson, PhD. 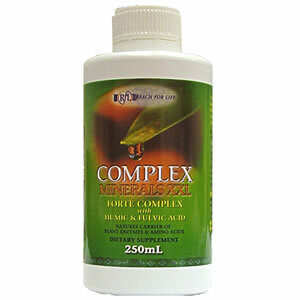 Note : The Complex Minerals XXL product is produced using ultra filtered mountain spring water free of any residual impurities.